Almighty God, giver of every good gift: Look graciously on your Church, and so guide the minds of those who shall choose a new Rector for this parish, that we may receive a faithful pastor, who will care for your people and equip us for our ministries; through Jesus Christ our Lord. Amen. During this Transition period, there will be a 10am service only. The 8am service will resume when our Priest is in place in late Fall. We appreciate your understanding. There will be no babysitting available this Sunday, September 2nd. Thanks for your understanding! On the front of our weekly bulletin, you will find the words “St. 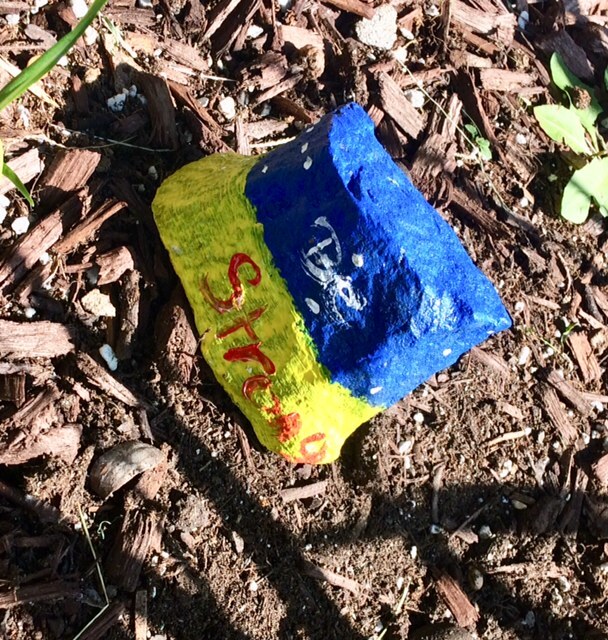 Stephen’s–a diverse Episcopal parish, a life-giving sanctuary, a place where love begets love.” That love was truly evident this past week during our 6 th annual Drumming Camp. From the moment the campers stepped off the bus on Monday afternoon to our final goodbyes on Friday evening, there was laughter, play, music, art, good food, and yes, lots of love. Children who had attended camp in previous years greeted us with hugs and high fives, but it didn’t take long for the smiles to spread to those who were with us for the first time. They learned complex rhythm patterns and energetic dance steps under Yah’Ya Kamate’s expert teaching, ate delicious meals prepared by Sara Ruth Dorn and her faithful army of servers, created works of art and beautifully decorated t-shirts under Gesine Ehlers’ leadership. Eugene Foley and Barbara Riedel introduced them to the story of Nelson Mandela, whose life the children celebrated during the final performance on Friday. 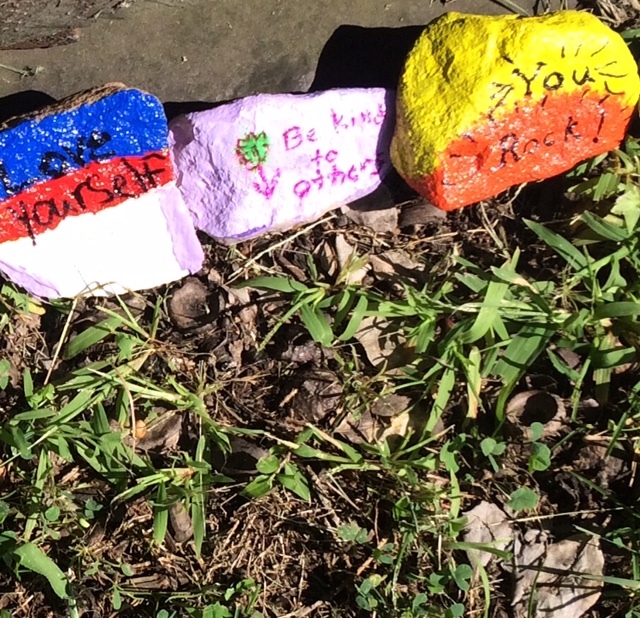 Theresa Scharff helped them make “Kindness Rocks,” which you can now find scattered throughout our garden next to the rectory. 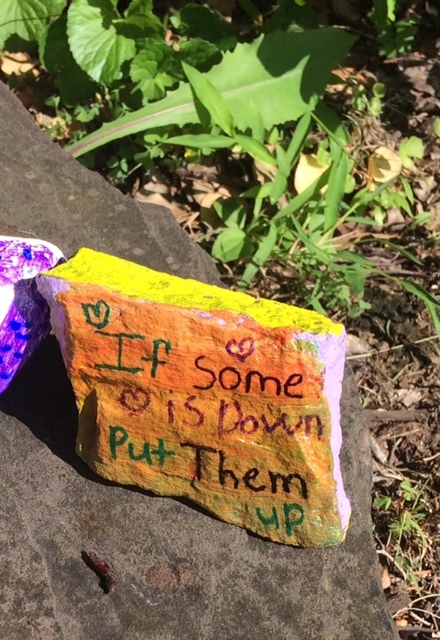 Counselors Phoebe Holt-Reiss, Rammie Rugbeer, Drew Newman, and former camper JaTaria Monroe led outdoor games and play and guided the children from one activity to the next. Susan Dinan ordered supplies ahead of time so the children would have water bottles and t-shirts. Suzanne Holt brought her portable fire pit on Thursday evening so that they could have the experience of making and eating s’mores. Gary Jones, who some of you may know as the husband of our parish administrator Claire, led the opening and closing activities each day with unmatched enthusiasm. Marianne Bredlau, Sheelagh Clarke’s daughter, spearheaded an effort with the members of Wyoming Presbyterian Church to provide the campers with backpacks that were stuffed full of school supplies. Peter Wick came each evening after we left to clean the bathrooms and take out the trash. And on and on and on it goes. I haven’t even named all the volunteers who played some part in the week, but we appreciate each one’s contribution, each act of kindness born from that life-giving love. I saved one name for last because you need to know that, in the absence of a rector, this year’s camp would not have happened without her dedication, effort and considerable time commitment. I can only begin to list all the administrative things that she did over the past several weeks and months to ensure that this camp would take place–things like securing that $10,000 donation to fund the camp, hiring staff members, planning the transportation, working with Delouise Monroe to recruit campers, working out the budget and making sure paid staff members received checks, writing countless e-mails, and so on. On top of that, she spent a week of her vacation time to oversee the operation of the camp. We owe a hearty thank you to Fran Taber! To all of the people of St. Stephen’s, thank you for being a part of this life-giving sanctuary, where love truly begets love. 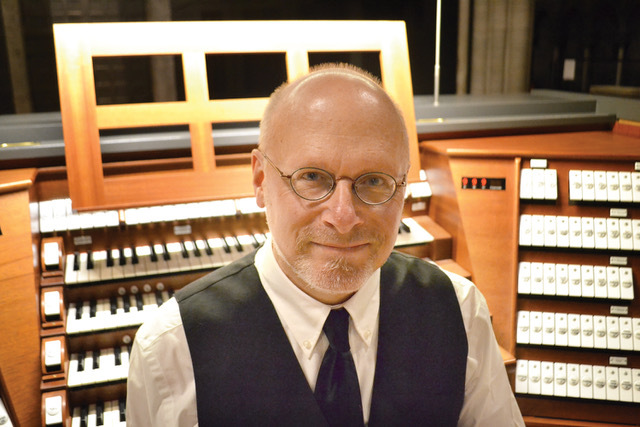 NJ-based organist James D. Hicks presents Nordic Journey, a recital of organ music from Scandinavia at St. Stephens Episcopal Church, located at 119 Main Street, Millburn, NJ, on Saturday, September 8 at 5:00 p.m. Not only is this a musical event, but a fundraiser for the New Jersey Chapter of the Cystic Fibrosis Foundation. James is in the midst of a multi-year fundraising endeavor for NJCFF, one that will culminate in a scheduled 2020 hike of the St. Olav’s trail, a medieval route located in Sweden and Norway. James’ program for September 8 features the magnificent sounds of the church’s von Beckerath organ, and consists of music that he will record later in the autumn at the Halgrímskirkja, Reykjavík, Iceland. Hicks has commissioned several of the works on this concert of Scandinavian music, and the program will be a unique view into a musical tradition that encompasses many style: blues, jazz, classical and historic. The audience is invited to contribute to this fundraiser by visiting HIcks’ website at www.hicksnordichike.com where one can make a secure and tax deductible contribution. Checks and cash donations are also welcome at the performance with all proceeds going to the NJ Chapter of the Cystic Fibrosis Foundation. More information about James D. Hicks may be found at www.jamesdhicks.com. Parents, teachers and friends, Treat yourself to an hour of relaxation! ADULTS come along and have some fun drumming at: St Stephen’s Episcopal Church Between: 7pm-8pm. RSVP: Norma at: Norma.cook@outlook.com. Or leave a message: 862 485 1573. God willing and the people consenting, the Rev. Carlye J. Hughes will be ordained and consecrated a Bishop in the one, holy, catholic, and apostolic Church and Eleventh Bishop of The Episcopal Diocese of Newark on Saturday, September 22, 2018 at 11 AM at the New Jersey Performing Arts Center (NJPAC). Presiding Bishop Michael B. Curry will be the Chief Consecrator. The Standing Committee requests the honor of your presence. Light refreshments will follow the service. All are invited to attend, and while there is no admission charge, NJPAC requires that each attendee seated in the auditorium must have a ticket. The diocese has requested that we order tickets as a group. If you would like to attend, please contact Kim Williams at kimwilliams59@mac.com or call her at 973-997-2723 no later than Thursday, Aug. 30. She will order the tickets for anyone from St. Stephen’s who wishes to attend. Separate arrangements are being made for participants in the combined choir. Anyone who wishes to take part in the choir that day should also contact Kim prior to Aug. 30.